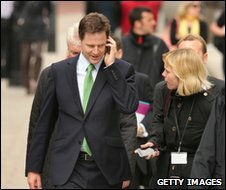 BBC News - What is the etiquette of mobile phones in meetings? What is the etiquette of mobile phones in meetings? One of David Cameron's first decrees as PM has been to ban his cabinet ministers from using mobile phones and Blackberrys in meetings. What if your workplace introduced a similar rule? 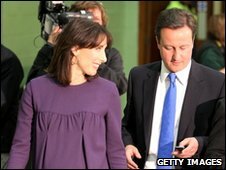 It's a divisive move from a united government, to ban Blackberrys and mobiles from meetings. Up and down the land, people will look at the Prime Minister's example and wonder what might happen if similar rules were introduced in their offices and workplaces. On the one hand will be the Digi-cons. Quite right, Mr Cameron, they will say. You cannot have meetings - let alone meetings of people charged with the security and well-being of the nation - interrupted by texting and tweeting, e-mailing and Googling, thumbs cantering across sleek devices, half a dozen terse and fragmentary SMS conversations going on at once. You need focus. Discipline. Concentrated attention. The way people use their phones has taken rudeness to new heights. Does anyone shake open a newspaper during business meetings and start to read? No they don't. So how come it is acceptable to check your e-mails several times? Or worse - to receive a call, and, with that carefully practised apologetic look, point to the door and move nimbly towards it bearing the buzzing gadget aloft. Surely, meetings would be so much more efficient without them. But on the other side will be the Digi-libs. It is true that people sometimes use their phones insensitively, but the 21st Century way is the way of the multi-tasker. We like our 24-hour rolling news, our always-on connections. One of the many blessings of being surrounded by technology is to be able to do several things at once - to arrange for the children to be picked up from school by text message one minute while switching back to make the killer contribution in a meeting the next. If something happens, it is reassuring to know someone can get hold of us. And how many of us, during some interminable session or other, have been secretly grateful for the distraction and light relief made possible by smart phones? Perhaps, after many years in which technology seems to have intruded into more of our everyday interactions, Mr Cameron's decision is a sign that the tide is beginning to turn. Is it time to zone off more areas of life from the yabbering and the bleeping? When Fabio Capello became manager of the England football squad, banning players from using their mobile phones during mealtimes was one of several golden rules in his disciplinary code. While not a meeting as such, he regards mealtimes as important bonding time. One of the great social effects of technology is the blurring of the divide between work and the rest of life. As we answer e-mails in the evening and make work calls at weekends, it is much less clear than it once was where work stops and life begins. But strangely we have never seriously objected to the change. If meetings are to be protected from electronic distractions, a case can be made that other parts of life are just as sacrosanct. However, in the spirit of contemporary coalitions, both sides may agree on what represents the most striking disappointment of the communications revolution: far from reducing the need for meetings, it seems to have increased them. Once upon a time it was said that advancing technology held out the promise of saving many hours of time through avoiding unnecessary meetings. Instead, new communications channels have supplemented the good old face-to-face method, but never replaced it - in fact, merely whetted the appetite for meeting in person. The possibility of more work and less talk has come to be replaced by talk is the new work. In my company, one senior manager asked that his team all turn off their mobiles when in his meetings. Any offenders were fined £5 for charity (having had the rules explained to them in advance). Just to ensure compliance, he had his PA call all the manager's mobiles five minutes after the meeting started. Alas I have no information on how much money this raised for charity and if the amounts raised reduced week on week. It is a mark of not being important to have to check e-mails and mobiles constantly. Really important people are not contactable all the time. They have secretaries and PAs who handle their calls and who will, if it is really, really, life threateningly important, get a message into the meeting in a civilised way. For every phone call or e-mail that tells me my kids are ill and need to be picked up from school, I have hundreds, possibly thousands, that are not "this minute" urgent at all. Indeed, e-mails are inherently for non-urgent communications only as you cannot guarantee that the recipient will get it. I am tired of the number of times I have been asked, "Why aren't you at the meeting?" "What meeting?" "The one I e-mailed you about an hour ago." "Well duh! I've been doing other things for the past hour and if you, or even better your secretary, had spoken to my secretary you'd have known that I wasn't available and we wouldn't have wasted all this valuable senior management time." DC is dead right. I agree entirely with the no phonecalls or texting rules, but no phones? That's something even my lecturer saw better than ask when he found out why I was using my mobile in class - to write down lecture notes. With this new generation of QWERTY keyboarded phones that should no longer be called phones, I can finally type rapidly and take down decent notes that others can read - unlike my handwriting, and it's a lot lighter than my laptop, which is far from lithe and takes up a lot of desk space that isn't available in a lecture hall. It would be better to ask for them to be turned to "offline" for those of us who use them in this way, or just ignore us if we are making notes to a live web app as many of us do. Speed, reliability and back-ups make this method of note taking far superior than paper (which gets lost, torn, mis-filed and so on). If a meeting is important then the attention of the people is important. Or they shouldn't be there. We don't need to get into who can or can't multitask, but anyone can miss a key point while focussed on the wrong thing. And it may be a point they need to disagree with, or an action they must prevent. There is the rudeness element too. How many times do we see two people at a coffee shop table, one jabbering happily into their mobile and the other gazing around like the spotty kid at the school disco. It is possible to switch them off, or to silent or even (can I, can I really?) ignore it. I teach adults at work. One key rule is no mobiles during classes. You can lose 20% of the teaching time with people "just nipping out to make a quick call". It's rude, disruptive and wasteful of time. We get far too hung up on thinking stuff is terribly, terribly urgent just because it is important. Or even that it is important just because it's urgent. Stuff CAN wait; there isn't much in real life that can't wait for the coffee break. Recent research, covered by BBC News no less, has demonstrated that we are all bad at multi-tasking. And those who think they can do it well, are actually the worst. I tend to keep my mobile on silent in meetings just in case of an urgent call. As a working mum, I need to be contactable in case there is a problem with my son. Having the phone there just gives me peace of mind. I'm part of the IT Network Systems team and I have a phone provided by work - only my team and certain colleagues have the number, with understanding it's only used for something important. So that while at work I'm always contactable - if I get a call it could well mean that something has failed and up to 3000 PCs may no longer be seeing the network and that cannot wait 30 minutes. I've been on call in various forms for much of my working life - often in case of rare but potentially serious eventualities. There are frequently situations where safety or security precautions mean switching off a mobile, but it is a simple matter to divert it to an appropriate landline or person who is able to relay a message if necessary. Even in a social setting, having a discreet but escalating tone, or just using vibrate mode, means that you can be contactable by text without having to make a big drama about it. It's certainly more discreet than a pager. Whilst having a very urgent meeting with a company director I was in mid-sentence when he received a call on his mobile and walked out of the room to take the call. I was so incensed that when he returned and said "where were we" I replied "finished" and walked out. Later he asked why I had done this, I told him how ignorant he was for not asking me to wait while he took the call, so I saw no reason to continue when he'd finished as clearly his urgent matter was not as important as his mobile phone. We later lost a large contract as a result. I'm delighted to say that mobile phone signals are barred in my office building. Some people moan about this, but I think this is excellent practice. You should also have a mobile-signal-block in ALL CINEMAS. If someone needs to reach you that urgently, then they should have someone interrupt the meeting and pull you out - and then only if it is an absolute emergency. Where are people's manners these days? It depends on what is acceptable locally. For example in Bangalore, the IT hub of India, it is quite acceptable that the phone takes precedence over people. For example, if you are being served at a till or are in an office and the phone rings, expect to wait until the person answers the phone and finishes the conversation without any apology. It is just natural here that the phone always takes priority over people. And the funny thing is people waiting in a queue to be served are not offended by this at all. I agree with Mr Capello and Mr Cameron. Phones should not be brought to the dinner table or a meeting. It really is very rude to be having a conversation with a person and they start tapping away on their phone. We all need to take a little time away from our electronic devices and enjoy interacting with real people. "As we answer e-mails in the evening and make work calls at weekends, it is much less clear than it once was where work stops and life begins. But strangely we have never seriously objected to the change." Who is this we? I certainly have objected, and do object, to work intruding on my private time. I've told managers that yes, HR can have my home number and e-mail, but if they use it for anything not vitally important (like the company burning down) I will be charging them at double rate for any time they use. Or they can negotiate with me in advance if they want me to be "on call". As far as meetings are concerned, if anyone really needs to contact me urgently they can phone the switchboard and the receptionist can come and interrupt the meeting; if it isn't that important then they can wait. I worked as an assistant to a director of a large company, so I sat in on many of his meetings. He insisted on answering his phone regardless of who he was meeting, so I had the not so warm pleasure of creating off the cusp small-talk with his clients while he was on his mobile. The expressions of his clients' faces as he answered his phone mid-sentence were enough to convince me to never take a call during a face-to-face meeting. I recently joined a new company and was shocked to find that during the induction day the guy sat next to me was constantly texting and emailing throughout the entire day and yet nothing was said. I find this to be extremely rude and disrespectful to whoever is presenting. Especially when this is a new employer. If I had my say he wouldn't be around much longer. Lucky for him, I don't. Rudeness is becoming normal. Checkout the university scene: friends walking together while talking to someone else, texting beneath the table in class, ignoring the guy in the hall next to you - as you wait for class - while texting your boyfriend. Texting during a date is becoming normal and it makes me angry (I've thrown a $20 down at a restaurant and walked out). Reality is becoming optional. There appear to be cultural differences in the acceptability of using mobile phones in meetings. I have been astounded that what to me is arrogant and offensive (e.g. taking a call loudly in the middle of someone's presentation) seems acceptable to some. Americans in the UK start clicking their Blackberries as soon as the US wakes up. I object. I have an extremely bad memory problem and recently had to see a psychiatrist to determine the cause. Now, I don't suffer from any other mental health problems, but as I was telling him the history of my case, he got a call on his mobile phone, ignored me and started yammering into the phone. Imagine for a moment how I would have reacted if I was suffering from paranoia and had been psyching myself up for weeks to gather up the confidence to go to the interview. It was extremely unprofessional. The "no mobile" rule is already quite common for the meetings I attend with corporate and public sector client (although you will always get at least one person trying to flout it). It is usually smaller business owners and consultants that drive me crazy by constantly checking e-mail or taking calls in time that has been set aside for a specific task or decision. It is difficult when you are under pressure and constantly bombarded with URGENT e-mails or calls that "just can't wait". Using a BlackBerry or iPhone to take notes, check details & information or share relevant contacts is acceptable and can speed up the process but PLEASE focus on the task at hand and maybe... just maybe.. you will achieve something today.